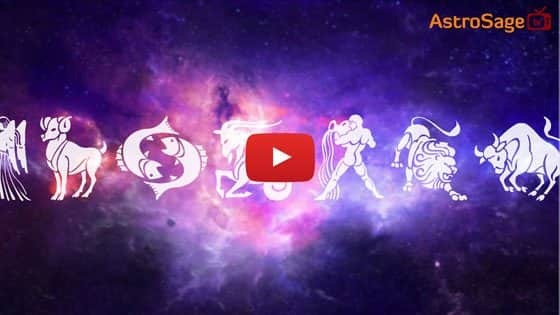 When Is Narak Chaturdashi In 2019? Narak Chaturdashi is a festival celebrated in the month of Kartik, on the 14th day of the waning moon. It is also known as Narak Chaudas, Roop Chaudas or even Kali Chaudas. As per the ancient Indian mythology, people revere the Lord of death ‘Yamraj’ with utmost devotion and adoration. As it is celebrated a day before Diwali, it is also known as Choti Diwali. On this day, people light up diyas at their homes after dusk. By lionising the god of death, people make sure that they are absolved from the clutches of untimely death as well as pray for a better health. Along with this, it is also considered very auspicious if, on this day, prior to the break of dawn, you apply sesame oil all over your body and bath with the water infused with Apamarga leaves. This shall lead you on your way of becoming fearless and would help you a great deal in your pursuit of going to heaven. As per traditions and beliefs, Narak Chaturdashi is celebrated on the 14th day of the waning moon of the Krishna paksha of the Kartik month. 1. On the Kartik Krishna paksha of the 14th day of the waning moon, just before the moon rise or the time before dawn (The time before the sun rises; for a duration of 1 hour and 36 minutes), we celebrate Narak Chaturdashi. Usually, going by the trend, the time before dawn is considered to be of more importance. 2. If both the Narak Chaturdashi dates are in touching distance of Moon rise and the time before the break of the dawn, then we celebrate Narak Chaturdashi on the first day itself. If that is not the case, i.e. the dates do not coincide with either the Moon rise or the time before dawn, even then we celebrate Narak Chaturdashi on the first day itself. 3. On Narak chaturdashi, it is an age old tradition to apply oil all over the body, before Moon rise or the time before dawn and worship the god of death ‘Yamraj’. 1. On this day, taking a bath before sunrise is considered very auspicious. During the bath, you have to apply sesame oil all over your body. After its done, you are to circle Apamarga leaves over your head 3 times. 2. Before Narak Chaturdashi, fill a vessel up to the brim on ahoi ashtami, during the month of Kartik on a dark lunar fortnight. Then on the day of Narak Chaturdashi, mix the water from the vessel with your bathing water. It is believed that by doing this you charge the water and fight off your fear of damnation. 3. After you are done with your bath, pray diligently to the god of death, Yamraj with both hands joined and facing southwards. By doing this you are absolved from all your past sins. 4. On this day, light a properly oiled diya right outside your main door in the honor of Lord Yamraj. 5. In the evening of Narak Chaturdashi, all the gods are worshipped before lighting up an oiled diya, which is then kept at the both sides of the entrance area or the main door of either your house or the place where you work. It is thoroughly believed that by doing this you are inviting the goddess of wealth, Lakshmi to make herself at home and bring with her, her affluence in abundance. 6. We have many names for Narak Chaturdashi- namely Roop Chaturdashi, Roop Chaudas and this is an instrumental reason why we laud Lord Krishna on this day as it leads to beautification of our body (our roop). 7. On this day, there is a specific time period known as Nisheeth kaal, where it is advised to throw away all our useless stuff out of the house. This tradition is also known as removal of poverty. It is firmly believed on the next day of Narak Chaturdashi, which is on Diwali, the goddess of wealth Lakshmi enters your home, and with her enters her aura of prosperity and wealth in galore. This is the reason why you cleanse your house of all the impurities and dirt. On the day of Narak Chaturdashi, the lighting of Diya holds great emphasis as well as mythological significance. On this day towards the evening, the light from the diya clears away the darkness from our lives for good. Due to this reason, we also call Narak Chaturdashi as Choti Diwali. There are many other theories as well behind lighting up the diyas on Narak Chaturdashi. 1. The Killing of the Devil named, Narakasura : There once lived an evil named Narkasura, who with his supernatural abilities made it impossible for all the priests and saints to live in peace. His antics rose to such a level that it became almost impossible to keep him under check. Things took a turn for the worse when he took 16 thousand of the gods wives as hostage. Bearing every possible torture that the malicious Narakasura could throw at them, the saints and the priests went to Lord Krishna for help. Lord Krishna assured all the troubled saints and priests that justice would be served to the guilty party. Narkasura was cursed that he would die off the hands of a woman. So, very cleverly, Lord Krishna took aide of his wife and in the month of Kartik, on a Krishna paksha of the 14th day of the waning Moon, Lord Krishna finally brought upon justice by putting Narakasura to the sword. Once the Devil was dead, the 16 thousand hostage were freed. These 16 thousand hostage then came to be known as Patraniya. After the death of Narakasura, on the new Moon of the month of Kartik, people light up diyas to celebrate Narak Chaturdashi and Diwali. 2. The Tale of Datyaraj Bali : This folklore clearly illustrates about the boon given to Datyaraj bali by Lord Krishna. In this, Lord Krishna took an incarnation of a dwarf and between the 13th day and new Moon, he measured/covered the entire kingdom of Datyaraj Bali in three steps. Seeing this, the kindhearted King Datyaraj Bali gave his entire kingdom to the dwarf king. After this, the dwarf king asked King Bali for a boon. Having asked for a boon, King Bali replied dear lord the time slot between the 13th day & the full moon, my kingdom should stand the test of time and shall always remain for these 3 days, also anyone who celebrates Diwali in my kingdom shall be blessed with wealth and galore. Also, on Chaturdashi, anyone who lights a diya shall not have their ancestors in hell or otherwise. They would be exempted the trip to hell and the god of death Yamraj shall do them no harm. Having heard the wish of King Bali, Lord Krishna was left impressed and he complied to his wishes by turning them into reality. From that day onwards, the ritual of observing a fast on Narak Chaturdashi and doing Puja as well as the lighting of diyas became an actual thing. We at AstroSage wish you a very Happy Narak Chaturdashi.